1 Thunder rumbles in the clear blue sky; the hero who saved the Kingdom of Levin battles fiends once more. 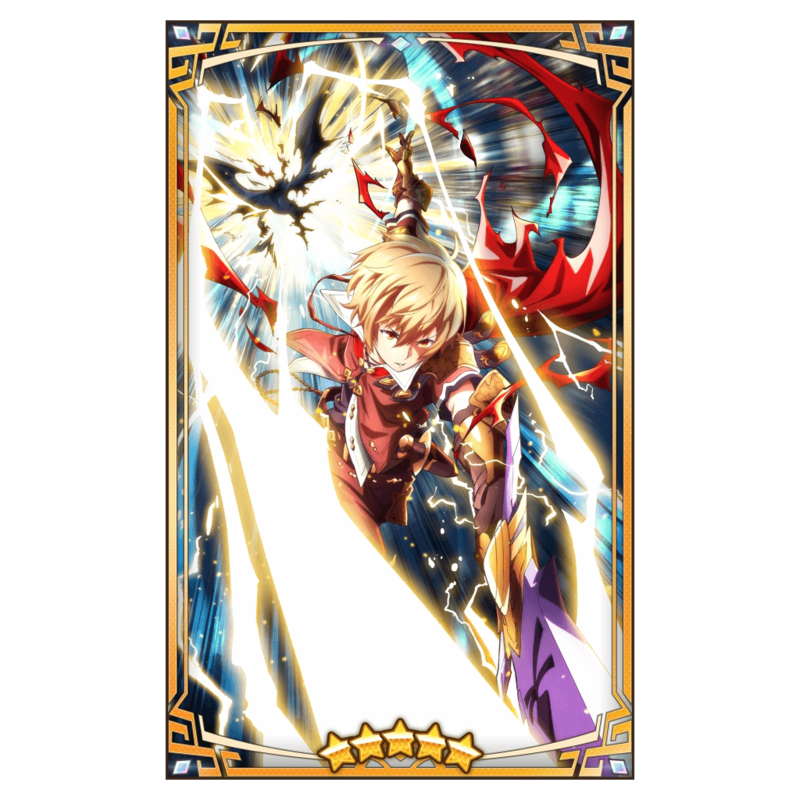 This is none other than Albert, the Thunderswift Lord, who smites his foes with powerful lightning. 2 He cuts down his foes with mighty bolts of flashing lightning, defeating each one in a single strike. In no time at all, the entire horde lies slain. 3 But there is no time to savor his victory; a mighty fiend's roar reaches his ears, one that is clearly not like the others. But Albert does not even flinch, instead felling it with a single blow like all the rest. 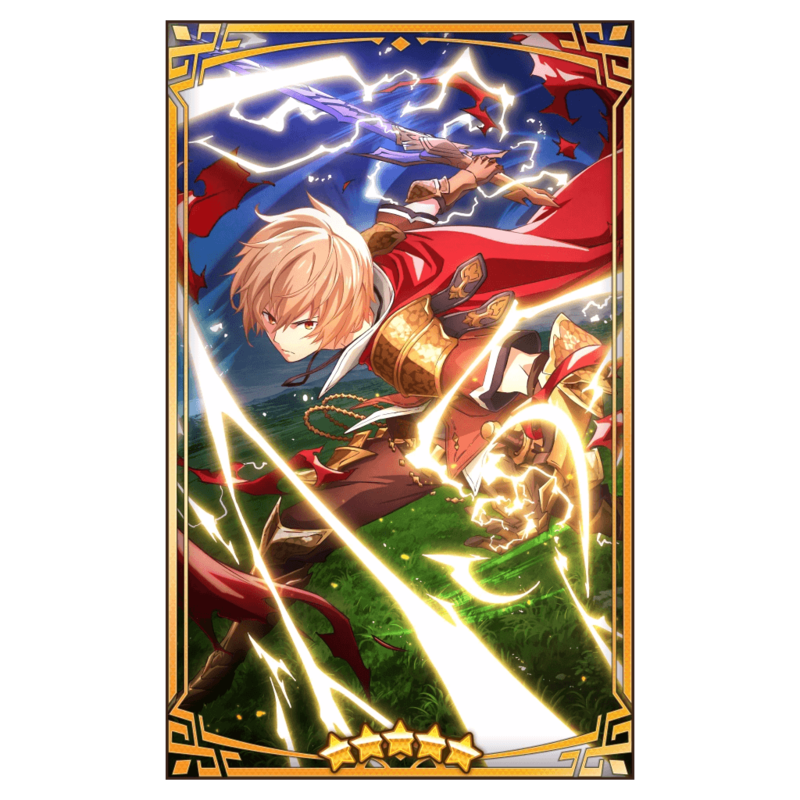 4 Albert gathers the lightning that shrouds his sword and unleashes it upon his foe. It produces a blinding electrical discharge that pierces straight through the fiend. 5 Albert cares not how strong an enemy is. He is the hero of Levin, the Thunderswift Lord—and any who watch him will instantly understand how he came by that name.